So there has been a rise of convenience stores in the metro. Gone are the days that only 7-11 is the reigning corner store. Now we have Ministop, Alfamart, Family Mart (a personal favorite) and Lawson. One thing they seem to have in common is upping each other in the soft serve ice cream department. 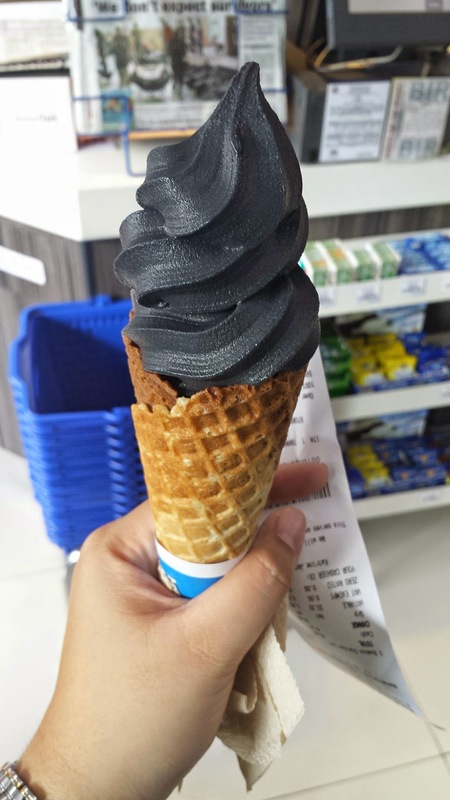 I know I recently just tried the black sesame ice cream from Family Mart but I could resist blogging about the bamboo charcoal ice cream. Too far. 😦 But I would love to try their soft serve. I have yet to sample Family Mart’s Black Sesame, actually.